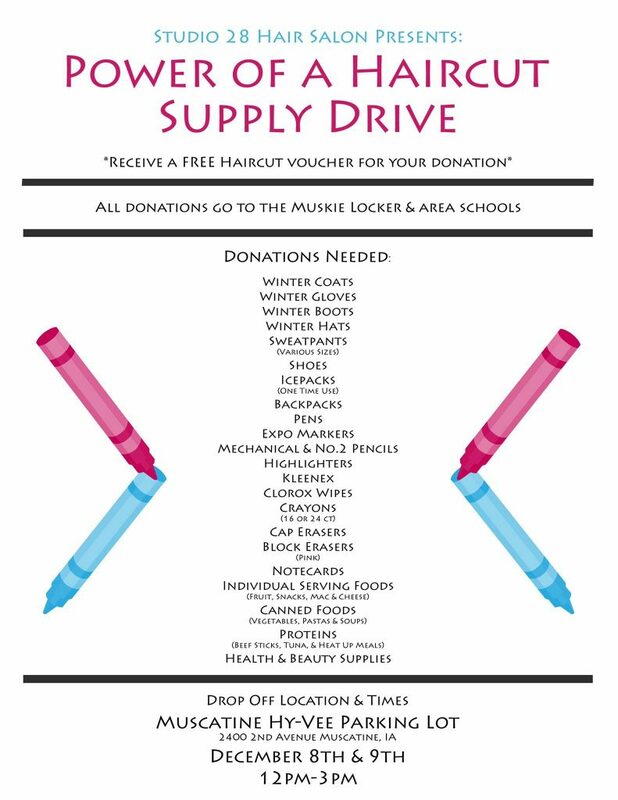 Description: Studio 28 Salon will be collecting various, MUCH needed items to be donated to the Muskie Locker and local schools. In exchange for your amazing donation you will receive a voucher for 1 FREE haircut at Studio 28!!! (1 Per Donation, not item) All donations can be dropped off December 8th & 9th from 12pm-3pm at the Muscatine Hy-Vee (2400 2nd Avenue) parking lot. Just look for the Studio 28 “Power Of A Haircut” banner and balloons!